The average price of gasoline hardly budged over the last seven days according to the AAA Fuel Gauge Survey. Though drivers in some states have seen price fluctuations of three to four cents a gallon, the national average price of regular is $2.85 a gallon, right where it was last Friday. The average price of premium gas is the same as last week, $3.37 a gallon. Diesel prices have also remained steady at $3.18. The Carolinas saw no spike in gasoline prices as devastation from Hurricane Florence hampered the movement of fuel supplies. Most stations were well-supplied before the storm hit. Oil prices hit $80 a barrel this week but it hasn't affected gasoline prices, at least not yet. The Energy Information Administration (EIA) reports gasoline demand fell sharply last week, to 9.53 million barrels a day. The lower demand was one factor keeping prices stable over the last week since there was less gasoline available. Gasoline stockpiles declined by 1.7 million barrels, according to the EIA. AAA says that suggests supply and demand are in sync, which should keep prices stable into the fall. 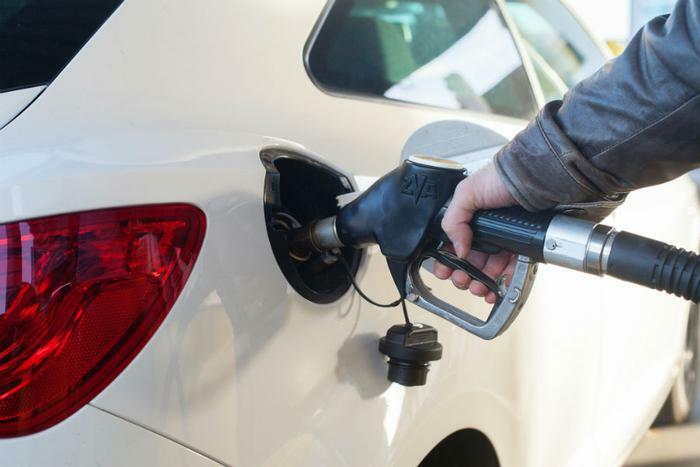 “That balance may tip as more gas stations begin to sell cheaper-to-produce winter blend gasoline – leading the nation’s motorists to likely see pump prices drop in the coming weeks,” AAA said in its latest update. The following states currently have the most expensive regular gas prices on average, according to the AAA Fuel Gauge Survey. These states currently have the lowest prices for regular gas, the survey found.